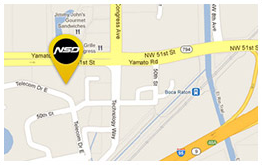 The NSD Tire & Wheel Protection Plan picks up where the factory warranty and service contract leaves off! Includes 3, 5, 7 Years of Coverage with UNLIMITED MILEAGE. Full coverage of all mounting and balancing associated with the repair of any tire repaired or replaced, under contract. NSD will also absorb the cost of taxes associated with the replacement of a tire or wheel. Not available in all States. Some restrictions apply. See your contract for specific details of coverage. Increase your customer satisfaction and retention. 3 & 5 year program with NO DEDUCTIBLE. Cars, Light Trucks, Motorcycles, Single and Dual Axle Trailers. 5 & 7 year trailer and RV Coverage. Repair or replacement coverage for tire and rims (including mounting, balancing, and taxes). * For most programs, see contract for details. 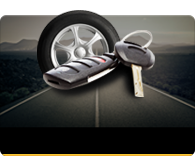 Whenever you are driving, you'll like the secure feeling of knowing that you are protected by the Nation Safe Drivers Tire and Wheel Road Hazard Protection Plan. Fast response and excellent service are just two reasons why millions of motorists rely on Nation Safe Drivers for on-the-road protection.